As we are approaching the market release date of the completely-new Lexus RC-F, speculations of how Lexus will do for its V8 engines in the next few year starts to emerge. As we know the 5.0L V8 engine in the RC-F is based on the firm’s 2UR-GSE V8, which is currently used in the IS-F, but with significant modification and enhancement to push maximum output way more than the 450 hp mark. At the same time, Lexus’ flagship sedan: the LS460, although with many impressive features, it lag behind its German rivals, such the Mercedes-Benz S550, the BMW 750i, the Audi A8, in engine output. The LS460’s 1UR-FSE 4.6L V8 “only” has 386 hp, while the German rivals all have output north of the 400 hp mark. It is obvious that Lexus should do something to catch up, and they are actually doing something secretly. 3. A twin-turbocharged 5.0L V8, output will be in the 600hp league. As we know, Toyota/Lexus has abundant engine expertise, which is good at making high performance and reliable engines in the past. 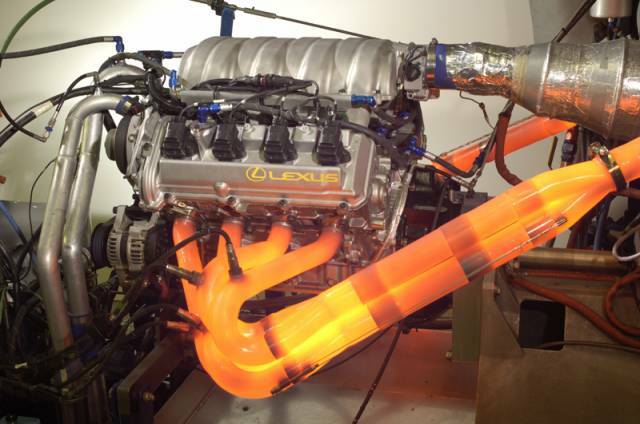 Below is the Lexus 5.0L V8 engine under testing back in 2006. I have high expectations on Lexus’ future V8 engines. 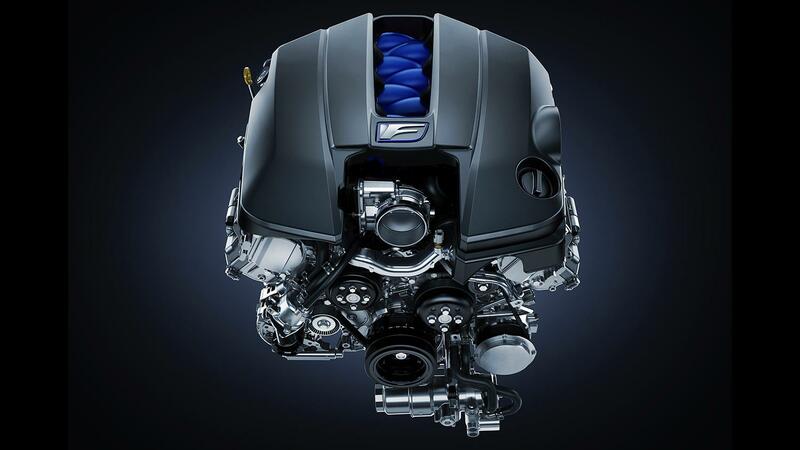 Here is the Lexus 2UR-GSE engine, which will appear in the RC-F.